Your joints feel the profound effects of age more than any other part of your body. Your joints take the daily wear and tear of your body weight, and aging can cause joint discomfort. Often, doctors will say that extreme pharmaceutical medications and surgery are the answer, plus they will encourage individuals to not let their joints stop them from exercising. This is always easier said than done. There are many different types of activities that you can still participate in that will not put nearly as much stress on your joints and will also provide all the benefits of exercising regularly. If you have joint discomfort, but still want to be active, try the following ten types of low-impact exercises to keep healthy. 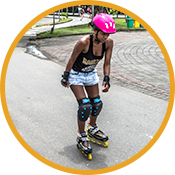 Take a throwback to the 90s and dust off your old pair of in-line skates for a loop around the neighborhood. This form of cardio will get your heartrate up without the extra strain on your knees and hips that running can cause. Taking laps around the neighborhood can burn up to 572 calories in 45 minutes, according to Prevention.com. In addition to the calories you’re burning, you are also giving your quads and core a great workout. While a spin class may not be the best choice for individuals with super tight IT bands, there are very few people that it’s not the perfect low-impact exercise for. Starting in a beginner’s class and working your way up will give your joints time to adjust. It helps strengthen the muscles around your problem joints, providing relief from joint discomfort during the day as well. You are also able to increase resistance and endurance at your own pace so as not to overtax your joints. You may have been a running nut when you were younger, and loved the endorphin surge that came with it. Nowadays your joints won’t even let you go for a jog. 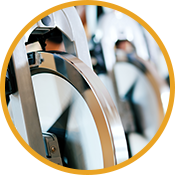 Instead of high-impact running or jogging, turn to the elliptical. While you may have to spend a little extra time to get the muscle burn that you love, your joints will thank you. 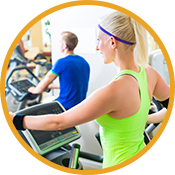 In addition to being easy on your joints, using an elliptical is a great way to increase your heart rate to levels that help burn fat and keep your heart healthy. No matter which joints are giving you daily trouble, swimming is the perfect low-impact exercise. Easy on everything from your knees to your shoulders, swimming still provides a type of light resistance training as you scull through the water. Swimming is truly a full-body workout. 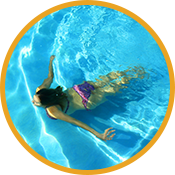 45 minutes a day of easy lap swimming can provide you with a plethora of long-term benefits. While it may seem like walking isn’t worth the effort, think again. 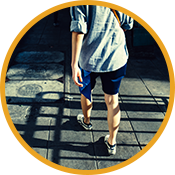 Walking, and the motion that accompanies it, helps to lubricate your joints while still providing benefits of an increased heart rate and burned calories. Start small and work up to longer walks. Try a ten minute walk, and increase the length by 10 percent each week. You can also increase the speed as your joints warm up. Everyone knows that yoga can provide great benefits, especially in flexibility, strength training, and stress relief. With the wide variety of yoga types available, you’ll be able to find one that is right for you. Try a meditation-based class for mindfulness, or opt for a hot yoga session if you want to burn calories. 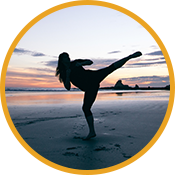 Tai Chi is an ancient method of martial arts that, after years of practice, can be applied to defensive combat. For many, it’s a unique form of meditation and movement. Each session combines fluid, slow movements and poses in order to help improve flexibility and range of motion. It’s exceptionally easy on your joints while still providing benefits to help you feel better. If you live in an area that gets snow for at least part of the year, rent or buy some cross country skis because you are going to become hooked! 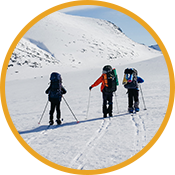 Cross country skiing across flat fields can give you a workout without the hard impact on your knees and hips. This is a full-body workout as you use both your arms and legs to glide along. 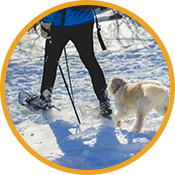 Along with cross country skiing, snowshoeing is another winter sport that has low impact on your joints. If you can walk comfortably, you can snowshoe. Pick a beautiful trail to hike and enjoy the beauty of nature while exercising. Snowshoes make you lift your leg differently and provide extra resistance to give you more of a workout than walking or hiking. While your first thought may not be ballroom dancing, don’t dismiss this great low-impact activity. Ballroom dancing not only improves communication skills but also provides you with an interesting, coordinated way to get moving. Don’t let sore, achy joints stop you from being healthy; try any of the above low-impact activities for your health. Also, shop our natural health supplements online at Harmony Company to include in your healthy lifestyle!